Most experts in celiac disease have concluded that distilled alcoholic beverages made from gluten grains—including whiskey, commonly made from barley—are gluten-free (at least to the U.S. Food and Drug Administration's standard of less than 20 parts per million). However, some people with celiac and non-celiac gluten sensitivity react to alcoholic beverages distilled from gluten grains. Therefore, you'll need to make up your own mind as to how you should proceed if you have celiac disease or non-celiac gluten sensitivity and you're wondering whether you should try whiskey. The National Institutes of Health's Celiac Disease Awareness Campaign advises that cocktails made with distilled alcohol are safe for people with celiac disease to drink. However, not everyone agrees. The Celiac Support Association does not recommend any form of Scotch or whiskey; instead, it advises those following the gluten-free diet to stick with potato vodkas, rum, and tequila, all of which are made from non-gluten grain sources. The Alcohol and Tobacco Tax and Trade Bureau, which regulates alcoholic beverages in the U.S., does not allow the use of the term "gluten-free" on alcohol products originally derived from gluten grains, even if they're distilled. That rules out "gluten-free" claims on whiskey produced from barley. Confused? Here's some more information. Why Is There a Question About This? Some people with celiac or non-celiac gluten sensitivity can handle drinking Scotch or whiskey without any problems. However, others experience severe gluten reactions if they consume something distilled from gluten grains. It's possible that distillation doesn't remove 100 percent of the gluten (studies have been mixed on this point), or that a tiny amount of gluten is added back in for flavor as part of processing after distillation, as a couple of manufacturers have argued. In some cases, whiskey manufacturers add caramel coloring (which may on occasion contain gluten) or even a small amount of the undistilled grain mash after the distilling process. If you decide to try whiskey once you've gone gluten-free, I'd advise going slowly, especially if you're particularly sensitive to trace. You may find that you tolerate it just fine, but you also may find you react. There is one other option for those who can't handle whiskey distilled from gluten grains: drink a whiskey made from sorghum. This gluten-free grain (sorghum is a grain that's closely related to corn, and not closely related to the gluten grains wheat, barley, and rye) gives whiskey real character, according to aficionados. James F.C. Hyde Whiskey. Made from 100 percent American-grown sorghum, this whiskey (named for a prominent Massachusetts businessman and political leader who published the definitive work on growing and distilling sorghum) is available mainly from outlets in the Northeast. New Southern Revival brand sorghum whiskey. A sorghum whiskey from High Wire Distilling, New Southern Revival is made from 100 percent sorghum syrup sourced from a Mennonite farm in central Tennessee. Note that High Wire does make several spirits from gluten grains in the same facility. Queen Jennie Whiskey, crafted by Old Sugar Distillery in Madison, Wis. This brand is made entirely from sorghum in a facility that does not use wheat, barley or rye, according to Old Sugar owner Nathan Greenawalt. S.S. Sorghum Whiskey. S.S. Sorghum is made by craft distillery Still 360 from 100 percent pure sorghum syrup. Note that Still 360 does produce many alcoholic beverages made from gluten grains. Unless you're drinking your whiskey straight, you need to watch out for the mixers used in making your drink. Some mixers may contain gluten. Obviously, a whiskey-and-water is fine, and a whiskey-and-Coke should be fine (assuming you're okay with conventional whiskey or that you use a sorghum-based whiskey), since Coke is a gluten-free soft drink. Mountain Dew, 7UP and Sprite also are considered gluten-free. A Manhattan cocktail traditionally is made with whiskey, bitters, and vermouth. Bitters have a distilled alcohol base, and therefore may contain alcohol distilled from gluten grains (so if you react to that, steer clear). Vermouth, meanwhile, is made from grapes. An old-fashioned also includes bitters, along with sugar and water to go with the whiskey. Make sure you know what's in your cocktail before drinking it. Be careful with whiskey. 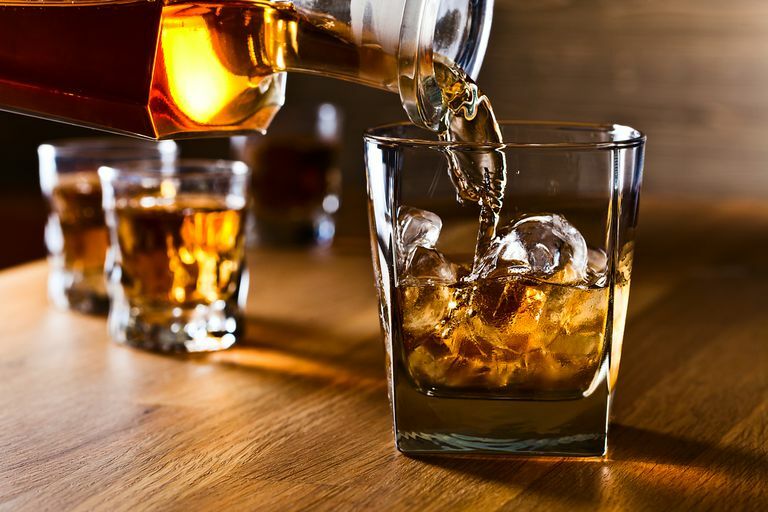 Although some people with celiac disease and non-celiac gluten sensitivity seem to be able to drink regular whiskey with no problem, others do experience bad glutenings from it. If you do react, try a sorghum-based whiskey (if you can find one), or try potato vodka or unflavored rum instead. Can You Drink Bourbon on a Gluten-Free Diet? Can You Drink Vodka If You're Gluten-Free?